A University of Colorado Cancer Center study compared outcomes of leukemia patients receiving bone marrow transplants from 2009-2014, finding that three years post transplant, the incidence of severe chronic graft-versus-host disease was 44 percent in patients who had received transplants from matched, unrelated donors (MUD) and 8 percent in patients who had received umbilical cord blood transplants (CBT). Patients who received CBT were also more likely to no longer need immunosuppression and less likely to experience late infections and hospitalizations. There was no difference in overall survival between these two techniques. 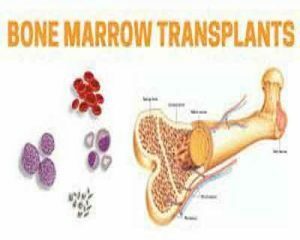 Results are published in the journal Bone Marrow Transplant. “When you do an allogeneic transplant when someone else is the donor the new blood system has the potential to attack the patient. This is graft versus host disease, which can be debilitating and even fatal. Our results show that, long term, receiving a cord blood transplant is less likely than receiving a transplant from an unrelated, matched donor to result in graft versus host disease,” says Jonathan Gutman, MD, investigator at the CU Cancer Center and Clinical Director of Allogeneic Stem Cell Transplantation at University of Colorado Hospital. A common treatment for blood cancers is to erase a patient’s leukemic blood system and then regrow a new blood system using donor blood stem cells. There are four possible sources of donor cells: a matched, related donor (commonly a close family member), a matched, unrelated donor (from a database of 25 million people who have agreed to donate), umbilical cord blood (from a bank of stored samples), and haploidentical transplant (a promising technique requiring only a half match with a related donor). The closer the match between donor cells and a patient’s blood system, the less chance the new blood system will attack the patient’s tissues, i.e. the less chance of graft versus host disease. “Historically, doctors have reserved cord blood for patients without a match,” Gutman says. However, this flow of preference is increasingly questioned as data including the current study demonstrate that cord blood may be equal to or better than transplant from a matched, unrelated donor. “A lot of centers reserved cord blood transplants for their worst cases, and so it got an early reputation for being less successful. It also costs a bit more it takes cord blood cells a little longer to get going and so patients need to be supported a little longer. However, when you look past the first 100 days a point at which many centers stop collecting data there is clear evidence that cord blood outperforms cells from matched, unrelated donors,” Gutman says. Gutman also points out that bone marrow transplants require art as well as science. Centers like University of Colorado Hospital that are especially experienced with cord blood transplant have evolved systems to best support patients and optimize all transplant related issues, potentially leading to better outcomes than less experienced centers using similar treatment. The current study, specifically, compared 51 consecutive patients receiving CBT with 57 consecutive patients receiving MUD. At 3 years post transplant, in addition to he above difference in severe chronic graft-versus-host disease (cGVHD), overall rates of cGVHD were 68 percent following MUD and 32 percent following CBT. Again at 3 years, patients receiving CBT had been off immunosuppression since a median 268 days from transplant; patients receiving MUD had not ceased immunosuppression to a degree that allowed researchers to determine the median. “As a result, we have chosen to use cord blood as our first choice in cases where a matched, related donor is unavailable,” Gutman says.